Brown Rot is one of the most important and devastating diseases of stone fruit. 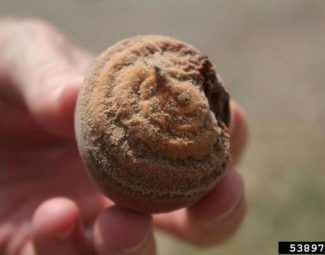 Cup-like growths called apothecia may be seen on ground growing from dead and decaying material (often mummies from previous crop) during early spring. 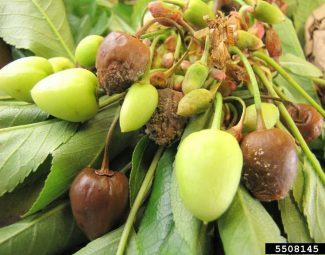 This is an early sign of severe infection of orchard. Vegetative cells that produce spores start growing from overwintering mycelia during cool temperatures in late winter and early spring. 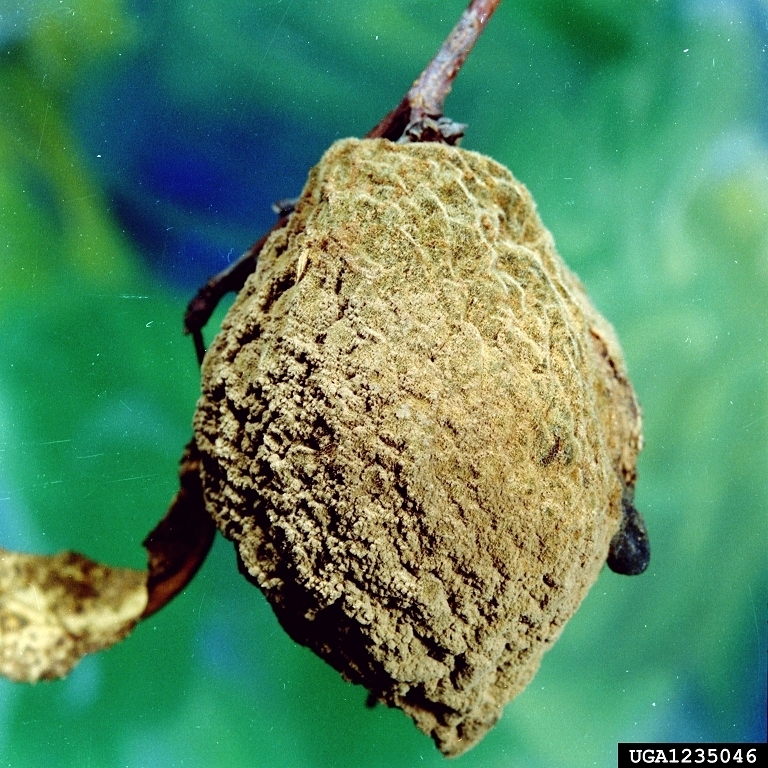 Mycelia infect blossoms and often prevent blossoms from falling to ground. 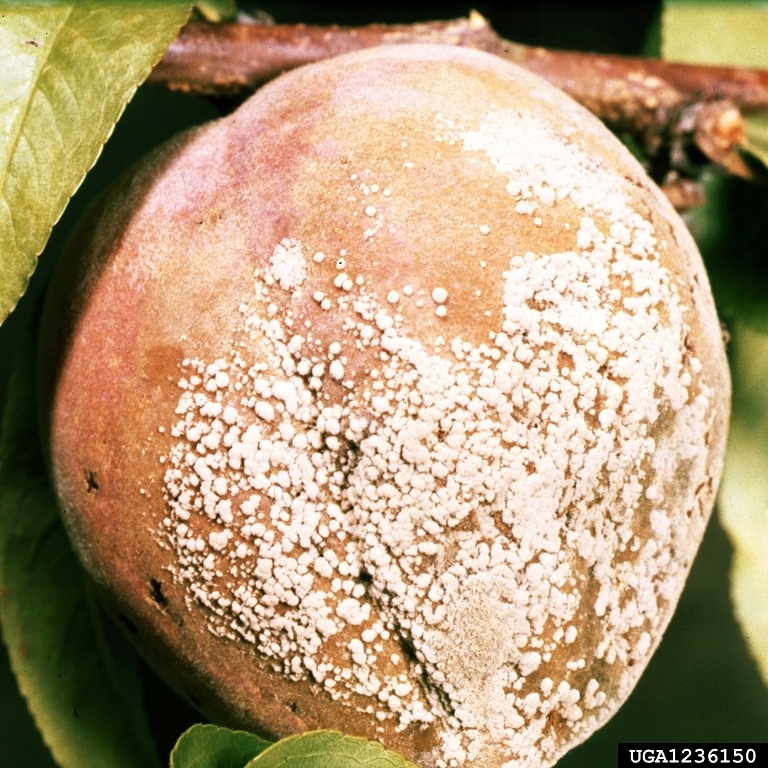 Infected blossoms may appear to be gummy and produce gray or tan fungal spores. 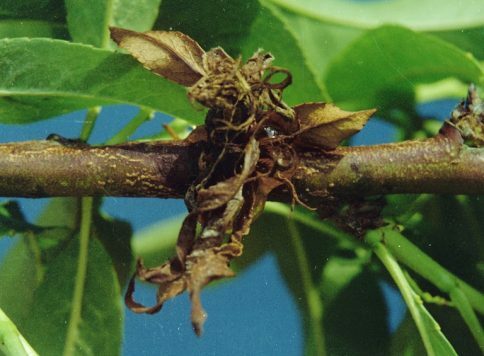 Resulting infection can infect adjacent twigs and shoots (twig blight). 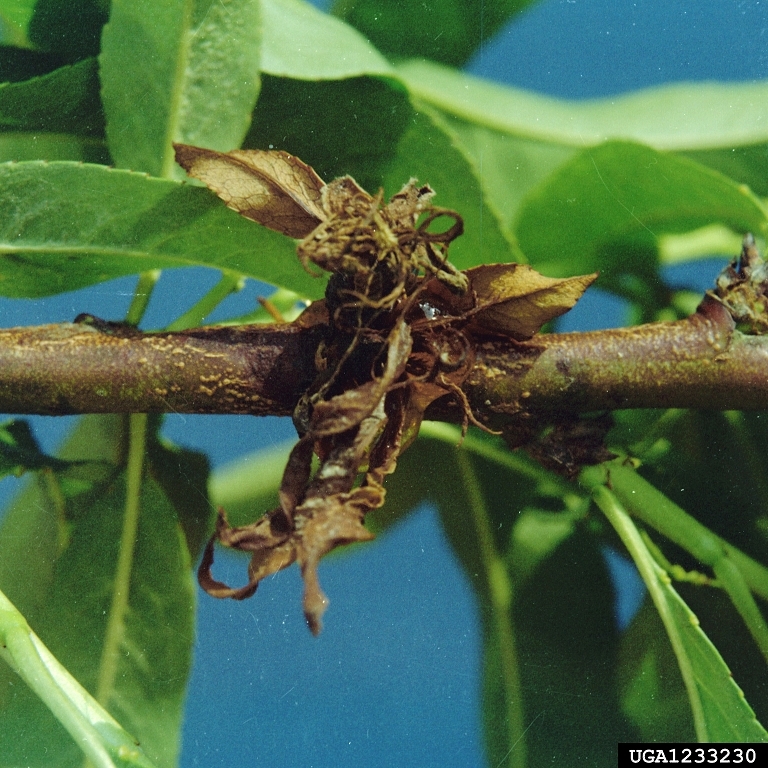 Twig blight results in death of the twig and leaves and serves as a source for later infection. Optimum temps for blossom infection range from 72 to 77 deg. F., but can happen between 32-86 deg. F. Under optimum conditions, infection can occur with only 2 hours of wetness. 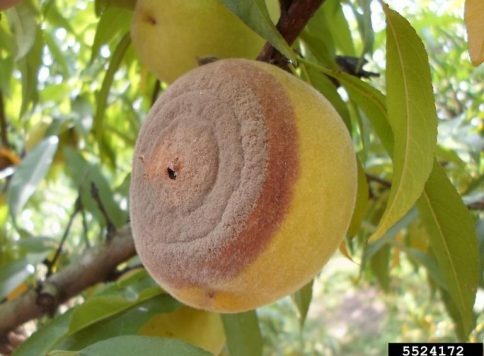 Fruit becomes more susceptible to infection as it ripens. 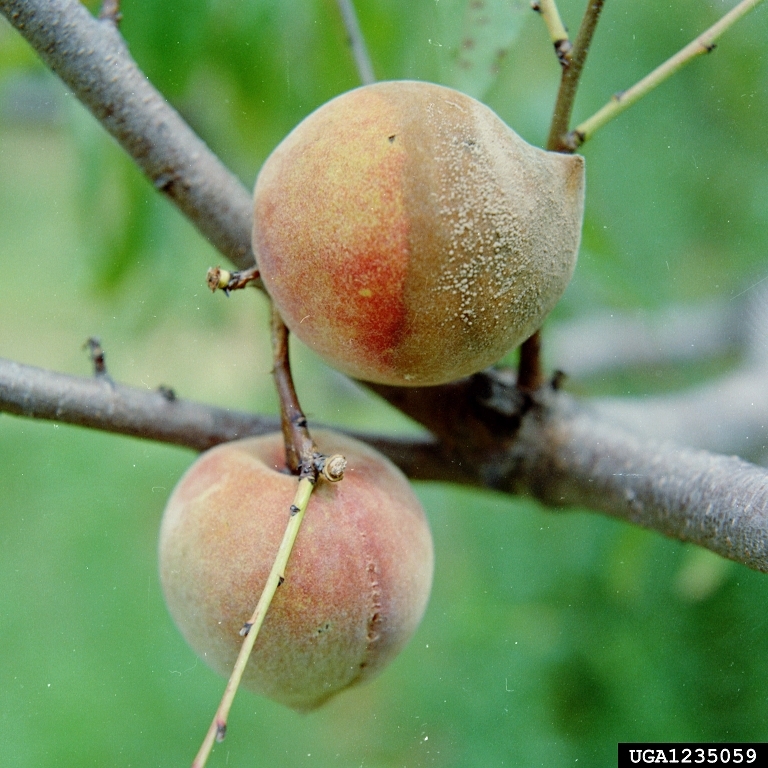 Often, infection of fruit begins as a small, circular dot. 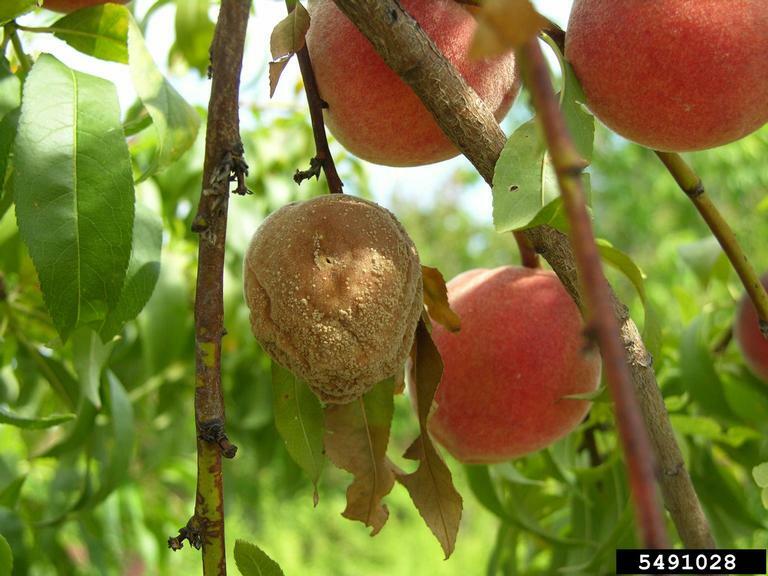 Damage from insect feeding, hail, wind abrasion, and other factors that compromise the integrity of the fruit skin increases risk of infection. 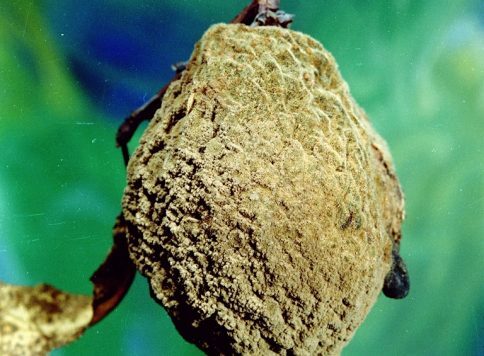 Non-feeding insects, such as honeybees, spread spores from infected blossoms to non-infected blossoms. 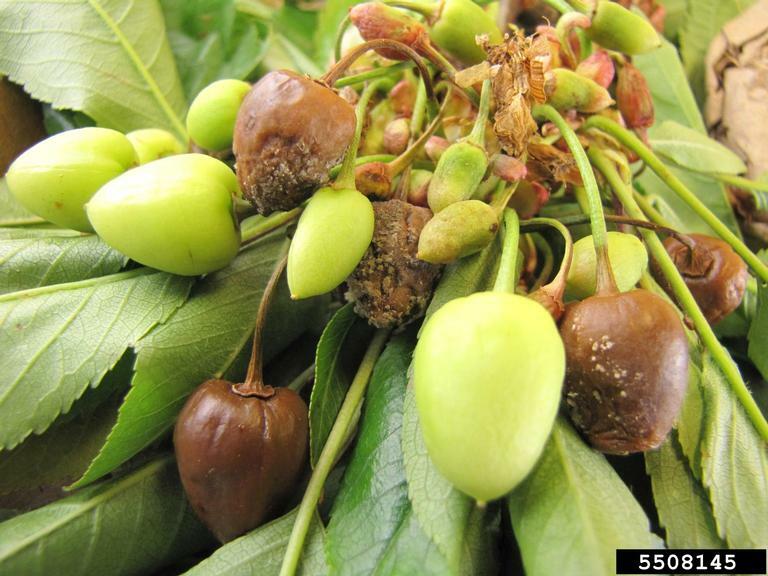 Overwinters in orchards as mycelium on mummies, fruit stems, blighted blossoms, twigs, and cankers. PAA: Jet Ag, Oxidate Application of PAA should be followed immediately with foliar application of Liquid Fish and Probiotic Biological to repopulate plant surface with favorable micro-organisms. Amino-Chelated Calcium and Boron Foliar applied to maintain sufficient levels of calcium and boron in fruit and vegetation during peak demand. This is essential to strengthen and heal cell walls (to maximize resistance to penetration of fungal organisms leading to infection). Maintain good fertility and mineral balance in plants. Identify macro- and micronutrient deficiencies by performing plant tissue and soil analysis. Adjust for deficiencies with foliar and soil applied applications of appropriate fertilizers. Calcium and boron levels are especially critical in prevention of establishment of this disease. 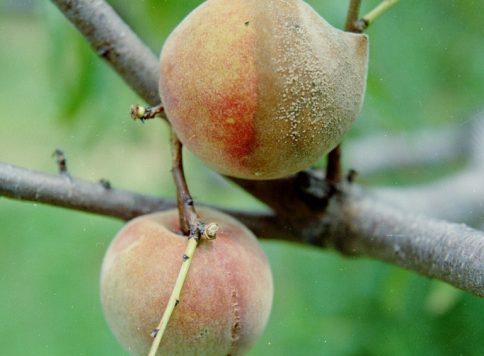 Maintain control of insects that feed directly on fruit such as stinkbug, leaf-footed bugs, and plum curculio. Consider culling fruit found to be “catfaced” or otherwise compromised in any way. 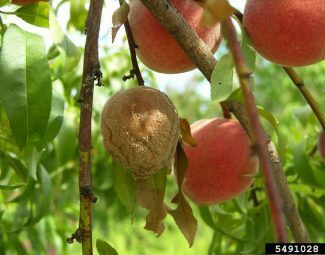 Consider culling fruit that has been damaged by hail, wind abrasion, or other weather factors. Bag and seal all fruit that is discarded, culled or found lying on the orchard floor. Immediately haul off to landfill. Do not pile on-site. 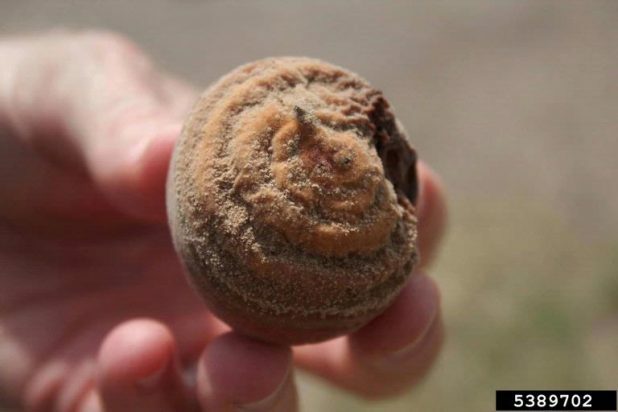 Pull all mummified fruit that is observed during and after harvest. Do not allow mummies to hang on trees during the winter. Pick up, bag, and haul away from grove (and bury) all pits and mummified fruit found on ground. Prune all blighted blossoms and twigs and haul away from grove (and bury). 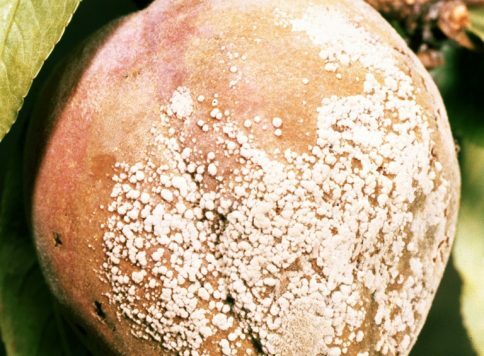 Avoid damaging fruit during harvest and post-harvest processing. Place fruit in a refrigerated facility shortly after harvest for rapid cooling. Avoid excessive nitrogen levels throughout season.